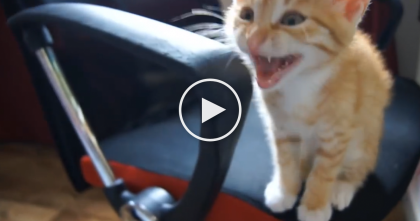 When this cat sees anything out the window, he does the funniest thing I’ve ever seen! 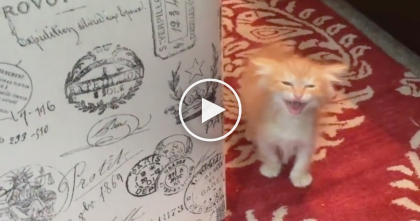 This cat stands on his back legs for almost 15 seconds! 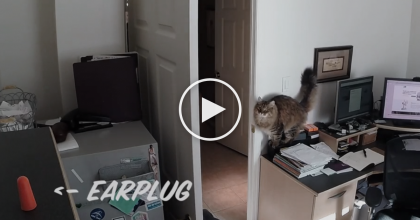 We’re guessing he’s a very territorial cat, but to be honest we’re really not sure what’s happening here, but we do know it’s enough to crack us all up, LOL!! This has gotta be the funniest thing I’ve seen all day!—SHARE this story with your friends!! 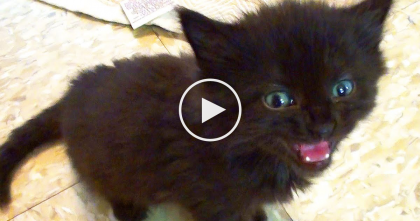 These Kittens Have Something Important To Say, Just Watch And Listen… SOO Cute And Adorable! 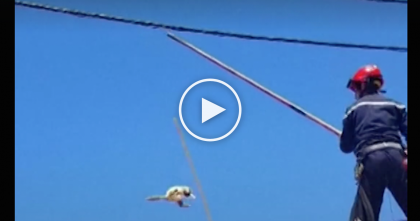 Cat Climbs Onto Power Lines, Now Keep Watching Till 0:23… That’s When My Heart Stopped.